Located at an height of 1,372 meters above sea level, around Lake Venna, is the highest hill station in the Western Ghats of Maharashtra. Mahabaleshwar is one of the most spectacular and the largest of Maharashtra hill-stations. Mahabaleshwar in Sanskrit means God of Great Power. It was summer capital of Governor of the old Bombay Presidency The Britishers built various mansions, cottages and bungalows around the town, lending it a charming, sophistication. There are 30 valley viewpoints with panoramic vistas scattered around the hill station and their access roads make for shady, pleasant walks and treks. Mahabaleshwar along with Panchgani makes the most popular hill resorts in the state of Maharashtra. Far way from the madding crowds the hill resort makes an excellent holiday destination. The natural beauty of Mahabaleshwar attracts nature lovers, film directors, holidaymakers, peace seekers and treakers alike. The heat and the dust of the plains give way to the cool breezes and the scenic greens of Mahabaleshwar. The hill resort of Mahabaleshwar derives its name from the God "Mahabali". There is a temple dedicated to Lord Mahabali namely the old Mahabaleshwar Temple. Catholic Church : A Visit to the old Roman Catholic Holy Cross church is worth a detour. Conaught peak : Conaught peak or the Mount Olympia is favorite spot amongst the riders at come to Mahabaleshwar. Morarji Castle : Also worth a look is this old structure. Mahatma Gandhi once lived here in 1945. Pratapgad Fort : This impressive fort is 24 Kms, away from Mahabaleshwar. It was here that Chatrapati Shivaji killed the mighty General of Bijapur, Afjal Khan. This fort provides some exquisite views of the Konkan valley below and the Raigad fort in the west. Venna Lake : Tourists can spend their time on fishing in Venna Lake. Wilson Point : Wilson point is the highest point of Mahabaleshwar and has three observation towers, which offer a splendid view especially of the sunrise. Waterfalls : A trip to the cascading waterfalls, such as the Lingmala waterfall (6 kms. ), the uninterrupted fall descends down, five six hundred feet from the cliff. Dhobi waterfall (3 kms.) and Chinaman's waterfall (2.5 kms.) are a must to see in Mahabaleshwar. Kate's Point, along Duchess Road, at 1,290 metres is yet another great point to look over. 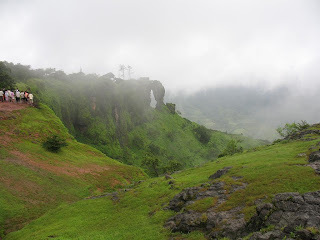 Places nearby : Panchgani, Satara. 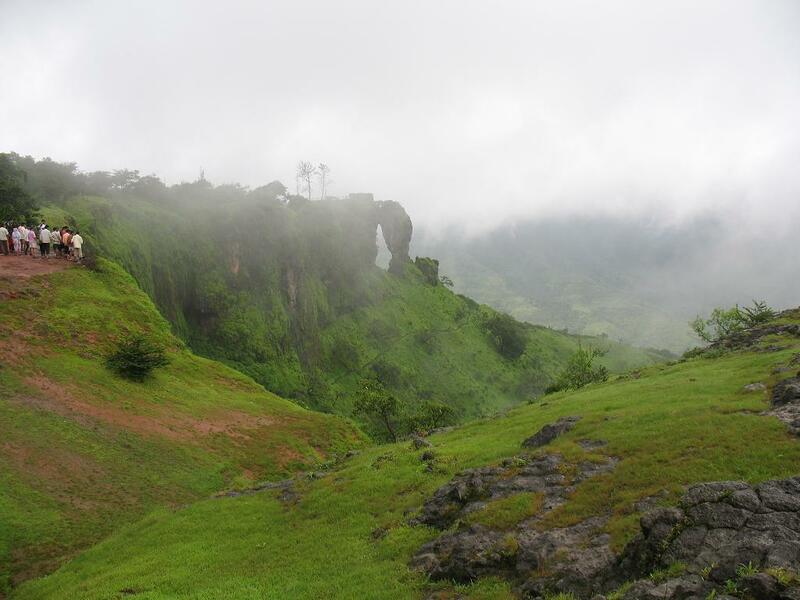 The Best Time to visit the Mahabaleshwar is from October to June. Pune is the nearest airport for Mahabaleshwar (120 kms). The Pune airport is well connected to various cities in India and also some countries internationally. For Mahabaleshwar, the nearest railhead is Wathar (62 kms) but Pune (120 kms) is the convenient railhead. From Mumbai via Pune, Mahabaleshwar is 290 kms. and via Mahad it is 247 kms. Many buses are available to Mahabaleshwar. Taxies also can be hired from both Pune and Mumbai. Good post. Mahabaleshwar is best hill station in Maharashtra . Hill Stations are best place to visit and honeymoon destination also. Nice info. A perfect trekking destination, it takes days to completely unravel the various mysteries of this hill station. The famous Panchaganga Temple in Old Mahabaleshwar is an important pilgrimage site, said to be the origin of River Krishna and four other rivers. Check out services of Hotel Dreamland Mahabaleshwar, a lovely boutique hotel with cottage accommodations in Mahabaleshwar. Its a good hotel for luxury seekers.